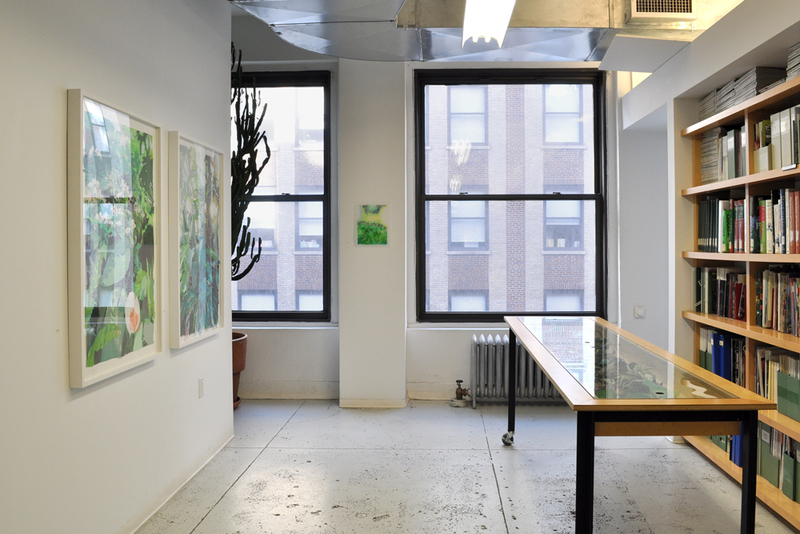 Presented in conjunction with The Delightful Land, this Project Space installation by Brooklyn-based artist Naomi Reis explores nature and its representation. To create her mixed-media collages, which are based on photographs taken in tropical greenhouses, Reis layers painted and cut forms to create an image as dense and colorful as the plant life depicted. Her process, which reduces the foliage to solid forms and colors, emphasizes the fabricated and illusionistic aspect of her subject matter. As lush and realistic as these environments are, they are simulated representations of a naturally occurring tropical landscape: carefully maintained parallel spaces where the effects of weather, chaos, and survival of the fittest are suspended.